It’s not long before back-to-school season comes knocking on your door, followed by the infamous Holidays season; which to students mean one thing: exams. Revising for exams can be pretty challenging, given the fact that nearly no student wanted to know what The Allegory of the Cave is in the first place; therefore being tested in that isn’t exactly the most pleasant thing in the world. Lee Glaser, the headmaster at Taunton School, Somerset, advises that structure is the most crucial when it comes to revisions; structuring the time means structuring the mind as well, meaning that writing down a revision plan for the holiday sets the mind on commitment. And parents play an important role in first and foremost setting revision guidelines, and then agreeing to the study plan afterwards; this could help unburden the parents from keeping up with the kids’ every move. One of the most asked questions regarding revision and study is, how many hours does it supposed to take? Well, experts say: not too many. Keith Budge; The Headmaster at Bedales School, Hampshire, suggests that 4 to 6 hours of revision per day will do the job, he explains that the purpose is “getting through the work as efficiently as you can,” rather than cramming the mind from 6 am in the morning. “Productivity is my key message” Budge adds. Supporting Budge on breaks, Theresa Homewood, Senior Deputy at Sevenoaks School, indicated that relatively frequent and long breaks between study hours help boost efficiency, productivity and activity. It is also advised including rewards in the studying process. Eating while studying can be a wildcard, one must know what to intake and what to avoid. Louise Robinson, the Head of Merchant Taylors suggests providing kids with “lots of treats and snacks,” however, make sure they’re healthy. Robinson insisted on avoiding concentrated caffeine drinks at all costs, and rather replace them with energy-boosting foods such as fresh fruits, nuts, dark chocolate, whole-grain toast, and lemon water. Robinson also advised getting enough sleep to help kids get the most of their revision-dedicated time. Stress management is crucially needed when studying; the right amount of stress is helpful, but too much stress surely defeats the purpose. 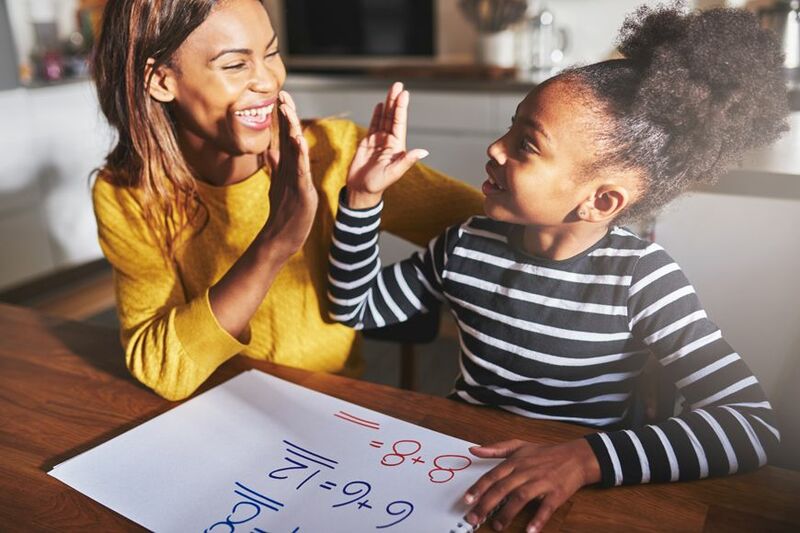 Parents can ensure that their kids are relaxed and comfortable when studying by encouraging taking breaks, focusing on aim – competence against self not friends – and avoiding unrealistic expectations.